Get a headstart on a clutter-free life with these DIY organization ideas that will work wonders in your home. You’re one click away from getting the organized kitchen pantry of your dreams! To start, organize canned goods with the help of wire racks. Doing so will also make grocery shopping a breeze because you’ll have a better way of knowing what your kitchen needs. A lazy susan is one of the great kitchen organizing hacks known to man. That's because it keeps everything within reach and prevents you accidentally toppling things over. You can also opt for hanging storage pieces to maximize the overhead space of your kitchen. Organizing your kitchen items don’t have to be boring. All you need is an eye for detail, a touch of creativity, some basic tools, and this list of DIY organization ideas. Now, you won’t have to fumble around your kitchen drawer looking for the utensils you need. Personally, what I love about these Mason jar utensil holders is how it allows me to group different utensils according to my cooking needs. One of the ways to keep your small kitchen organized is to have a rolling cart with different shelves and compartments. That way, you’ll have more areas to use (and hopefully not abuse) for your storage solutions. 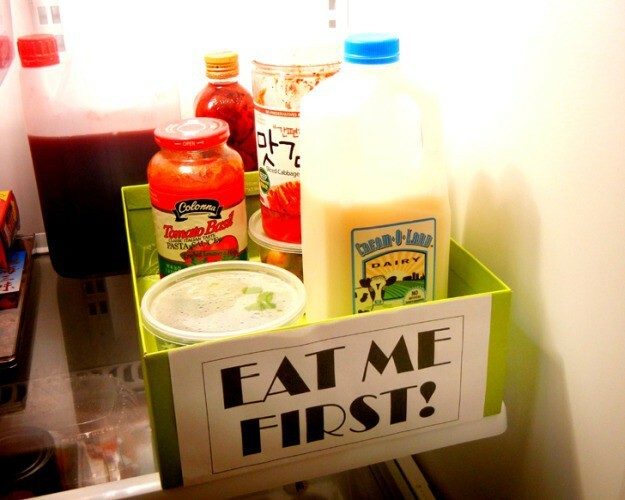 Stop your old habit of letting food go to waste in the refrigerator. It’s not healthy, and it's also costing you a ton of wasted dollars on expired food. Put your coffee mug collection to good use by displaying it for everyone to see. After all, everyone loves showing off their collections, right? So, why hide yours when you’ve got a story to tell for each mug on display? Are you someone who likes to keep winter gear in storage bins or prefers having them displayed on a wall? I think you’d benefit from reading this roundup of DIY organization ideas. Remember, the important thing is to keep your winter gear clean and ready for the next time you’ll use them. A clothing rack is one of the most abused items during winter — thanks to all the heavy coats and damp scarves. So, be ready for the frosty weather by taking note of these winter storage ideas. Make your closet dreams come true by making sure you keep your closet clean and orderly. With that, I suggest you use these DIY organization ideas. Take advantage of hooks, hangers, racks, and even egg cartons to help you get everything sorted into its own category. Tired of your earrings missing its pair? Make an earring holder to store all of your favorite pieces. It’ll look so pretty with all your studs and statement pieces, too. Who knew you can make jewelry holders from unused hangers? The best part is you can hang more than one piece of jewelry on these DIY jewelry holder ideas. 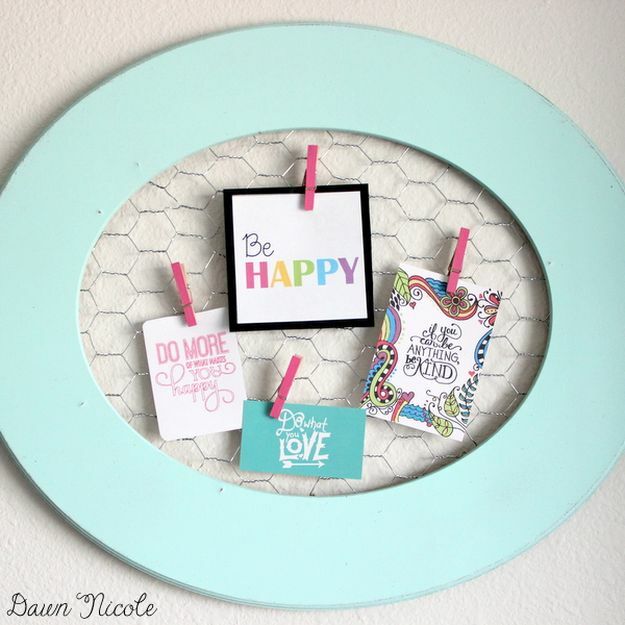 Revamp an old frame by turning it into a jewelry holder. You don’t even have to stick to one picture frame because you can place 2 or 3 side-by-side to add all your favorite earrings. What Is Tulle? It is a type of netting that's light with very fine holes. It is also softer than other types of nets. If you don’t have an extra hanger or a picture frame to use, don’t worry! This DIY organization crafts tutorial uses a wooden stick, a few nails, and a piece of ribbon to make a jewelry holder. You can even spray on a coat of paint if you want to change the color of the stick. Make a few tools a little more hardworking when it comes to organizing. For example, did you know you can use your shower hooks in your closet to help hang scarves, belts, and bags? Bring your dream sewing room to life with these organization tips. I guarantee some of these hacks will help ensure you never lose an extra button or needle again. Exercise your creativity with these DIY sewing organizers. These hacks will even cut your projects by a significant amount of time since you’ll know where everything is placed. Take your craft skills up a notch with a few ideas for your craft room. I particularly love how these frame pin cushions look adorably plump. To be honest, I bet they could double as a makeshift stress ball. Got a thing for IKEA furniture, but never really know how to maximize them? This list is all you need. Get ready to be an organizing maven once you’re done reading the roundup. Upcycle a cereal box and turn it into an organizing hack. The best part is, you don’t even have to wrap them if you don’t want to. Sometimes, the cereal boxes are striking enough to leave as the design. Let’s face it. DIYers can be a bit messy sometimes. Fortunately, these DIY organization ideas and hacks will help keep anyone — and I mean anyone — organized. Try out some of them today. Mason jars are phenomenal for organization hacks. You can fit almost anything from pens to scissors, and they can be used in practically any room. Maximize your shelves by adding more compartments or divisions to help organize your sheets of paper. To do this, simply measure the height and width of your shelf’s cube, then cut out a piece of plywood to fit. Keep your garage clutter-free even with all those tools inside. One of Dave’s favorites in our garage is the Mason jars, which hold different sizes of nails, screws, and bolts for future DIY projects. Stumped on how to start fixing up your garage? Gather all your tools in one place. That way, you won’t have to keep crossing from one end of the garage to another when you’re in need of a specific power tool. Make your garage fully functional again by clearing the clutter and making use of the space. Items such as a portable tool caddy come in handy because it allows you to place many items without sacrificing too much floor space. Prevent bikes from scratches and falls by securing them with a DIY bike stand. You’ll only be needing a few sets of PVC pipes for this project, which you can find in your nearest hardware store. Make use of your garage’s ceiling space with these storage shelves. Before you begin, make sure your garage’s structure is strong enough to bear the extra weight. Put your storage tubs to good use in the garage. These tubs can be attached to the ceiling, giving you more overhead storage to maximize and organize your space. Dave takes care of his toolkits like they’re his prized possessions. Then again, who can blame him? He is the resident DIY guy anyway. Check out some of these DIY toolkits you can make today. Tired of rummaging through your drawers and getting left with a bird’s nest after? Try making these drawer dividers. They’re brilliant when it comes to making sure your things stay organized. So many pretty colors, yet only 10 nails — 20 if you count your toes. Do you have plenty of nail polish options to choose from, too? It may be best to display them in such a way you're not rummaging through old boxes or drawers. Check out these nail polish rack ideas you can use to place your favorite bottles of nail color. Amp up your room’s chic factor with a mirrored tray. Place it on your dresser, and top it off with your favorite skincare essentials. You can include a candle or a succulent if you'd prefer, as well. Make entertaining a breeze with a bar cart you can place in the living room. That way, guests can help themselves while you’re busy playing host and making sure everyone is having a great time. There is a ton of DIY bar carts to choose from. Just make sure you’ve got a variety of spirits and drinks your guests can choose from so that everyone’s happy. This ottoman is one way to add extra storage to your living room without making too big of a change. Plus points for you if you manage to make one using a recycled wooden crate, too. I’m a sucker for little trinkets, so I like taking advantage of extra shelf space whenever I can. Such is the case for this DIY TV stand. Just make sure you measure out the length of your TV screen first before cutting your pieces. Give your old bookcase a makeover with this project. One of the things I love about this bookcase transformation is how it uses cardboard boxes for the cubby shelves, which makes it an awesome way to reuse old boxes. Want more DIY organization ideas to store your hauls of makeup? I’ve got just the roundup for you. Trust me, ladies, I know how it feels. There are times when even I can’t stop myself when it comes to the beauty section. Who says organizing can only happen with shelves and boxes? Why not go the extra creative mile by turning a cake stand into a perfume display? Not only will your room be clutter-free, but you'll have an extra chic bedroom piece, too! Never forget a reminder with a DIY corkboard. Be worry-free as you write your to-do lists on Post-It notes and stick on important phone numbers you have to remember to call. A kid’s room can be chaotic, so these storage solutions are needed in order to help keep you sane. Plus points if you teach your kids the importance of putting their toys back where they got them. A DIY magnet wall can help your kids remember the homework and projects they need to prep and finish. Why not make one to place above the desk in their room? Give your kids inspiration for their locker decorations. After all, their locker is technically what they’d consider their “room” at school. Help them make it more personal with a few locker ideas. Keen on making sure your kids have an organized locker? Give them wire racks or magnetic bins to keep their extra pens and stationery pieces in. That way, they’ll always know where their extra writing materials are if needed. Start organizing your bathroom by ridding it of items that have gone past its expiration date. Then, group the rest of the remaining products according to your routine or body part. Give your bathroom a spa-like feel with these tips, tricks and DIY organization ideas. These little hacks will make a huge difference in getting rid of your stress after a long day. Do a little DIY with this rustic towel rack and shelf. Don’t forget to wipe on a coat of polyurethane to make the wood of the shelf last longer. Organize your bathroom items without going beyond your $20 budget. Make this bathroom cabinet hold anything from towels to toilet rolls including skincare essentials. Looking for neat laundry storage ideas to increase your productivity? These DIY organization ideas will help you think of laundry day in a whole new light. They say the laundry room is where a lot of things go missing: notes placed in jean pockets and pairs of socks, just to name a few. Why not solve this problem with buckets of lost and found items you can place in the laundry room? You can also make for this DIY laundry room cabinet tutorial. This transporter will make it easier to move different materials from one area of the house to another. Did I mention it'll make a great storage compartment as well to help you with your organization? House management is never easy with all the tons of receipts and documents to take note of, and bills and mail to track and check. That's where a home office comes in to help you be better organized. Here are some home office organization ideas and design hacks that will make your life easier and your home, prettier! These bookends were made to add a spark of personality to your room and to ensure your books aren’t spilling all over the place. Try out some of these options today. Give your room the shelfie you’ve always wanted with these creative DIY bookshelf ideas. I guarantee you’ll find one to match your dynamic personality and literary preference. The best part about this tutorial is you can use almost any plastic animal to make the bookends. I fully recommend using an animal with a long body though. It’ll make for a sturdier piece. Washi tape is an inexpensive way to label and organize the items you have in a room. Plus, they come in so many different designs, it’s hard to resist a roll or two. The trick is all in organization and decoration that make your room look spacious and cozier. Added shelves in bare spaces and built-in shelvings, for example, are ways to declutter and make it look bigger. You’ll never have to be frustrated with tangled earphones and cables in your bag again. This leather cable holder will do the trick for you. Not a fan of leather? No worries, there’s always the faux counterpart. Carry too many cables around on a daily basis? Make a leather cable organizer to store all your cords. That way, your bag won’t have to look like a jungle every time you look for the cord you need. Born in the 90s or a fan of quirky finds? Make this ‘90s inspired cord organizer. Don’t forget to use a hot glue gun when attaching the different colored felt pieces together. These home improvement DIY organization ideas show that organizing doesn’t have to come with a hefty price tag. Check out these functional and not to mention, affordable DIYs today. Never ask where the keys are again with these DIY key holders. I recommend placing them near the door so you’d be less likely to forget about them before you leave. Give yourself a little extra storage space with this table that doubles as a shelf. Some storage ideas like a pegboard shelving system and the hanging oak desk are great to place near your entrance. I personally love these three extra storage space ideas because you can put keys, a bottle of perfume, and even a few mints on them. Tired of fumbling with too many keys and keychains? This DIY key organizer will do the trick. To make matters easier, you can also use nail polish to help you remember which key is for what door. Pinterest is a goldmine for organizing tips. Here are some of the best we’ve found so far. These are tried and tested by me, Dave, and our friends, so we're sure they turn out great for you, too. Chalkboard paint is a gem because it’s so easy to work with. Aside from placing chalkboard labels on my containers in the pantry, I also place them in my garden. These definitely help when I’m in a hurry to cook a meal because I’m no longer second-guessing if I have the right herb or not. Don’t forget about your furry friends! You can set up a spot for their treats and leash. Maybe you could even put it near their bed to help keep everything organized in their corner of the house. Avoid a frenzy of envelopes and brochures with this cute mail organizer. Don’t forget to place the organizer in a frame to help it last longer. Love feeling toasty with the help of your fireplace? Don’t forget to organize your firewood pieces to store outdoors. Fixing them properly will also help you determine if you need to stock up on more wood. Here’s one of my ultimate hacks and DIY organization ideas. When it comes to adding more storage space for better organization, add shelves to your doors. It doesn’t hurt that they won’t be an eyesore as well. Remember, it’s not the budget that limits an organized house. It’s the perspective and the motivation to DIY and with these DIY organization ideas, of course. Which of these DIY organization hacks and ideas are you excited to try out? Let us know in the comments section below! Editor’s Note: This post was originally published on August 8, 2018, and has been updated for quality and relevancy.